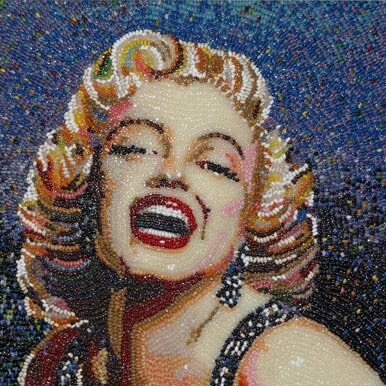 These look really impressive and creative; but did you know that it takes several months and many thousands of beans to create a single portrait? 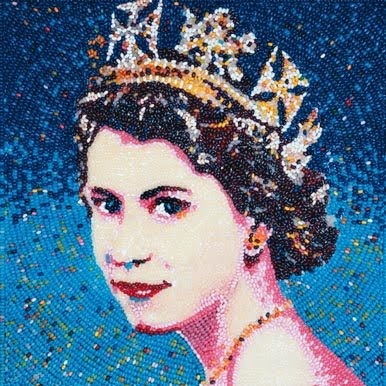 These come from Jellybelly art gallery and are the creation of artists P Rocha, R Rocha and Malcom West. 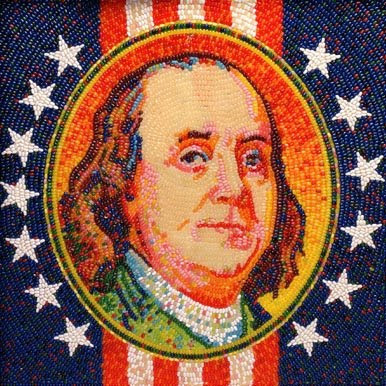 These portraits are quite colorful as the artists have a full palette of colors to choose from the 50 flavors of beans. 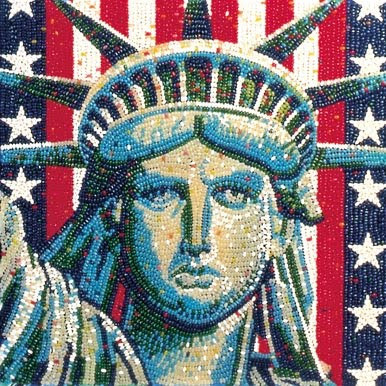 Back in the 1980s, Texan artist P Rocha was the one who started the bean art. 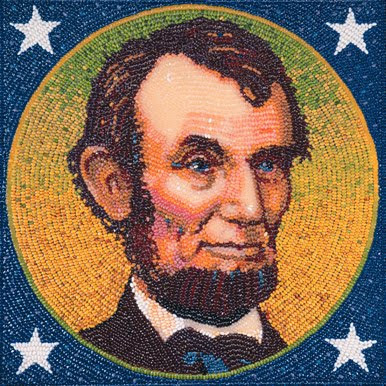 He had a huge interest in colors, beans and was a big fan of the then US President Reagan. 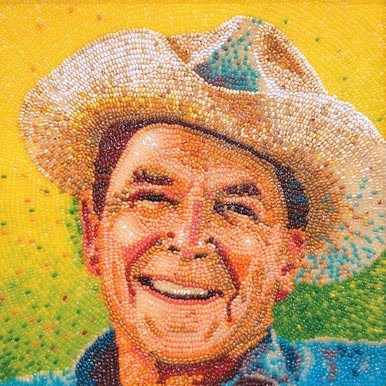 It took him over six months to create the portrait of Reagan using the beans and Reagan was really impressed by it. 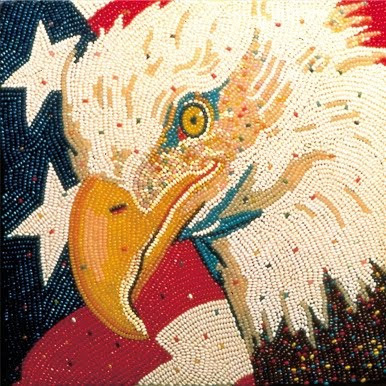 Even today one can see the mosaic in the Reagan Presidential Library in Simi Valley, California. The process of creating the portrait starts with a rough pencil drawing using a photograph of the subject. 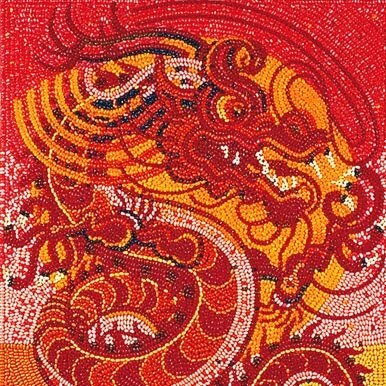 A tight color composition is made by wetting the painting and beans with clear glue and then sliding the appropriate beans into position. 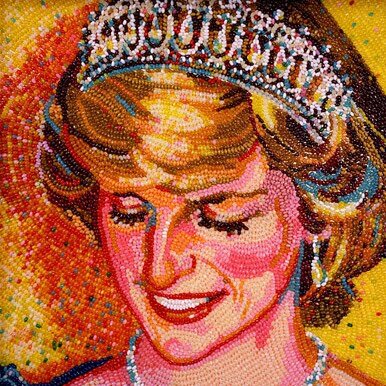 Rocha created over 50 bean portraits during his lifetime; before 2000 he passed on his skills to his nephew R Rocha based in California; he continues to create these magnificent works of bean art even today. Back in UK the work is been carried on by another talented artist Malcom West. For more bean artworks visit the gallery - link.